A new bank, Carolina Aliance Bank, is making its HQ downtown, across from Church St from the Library. 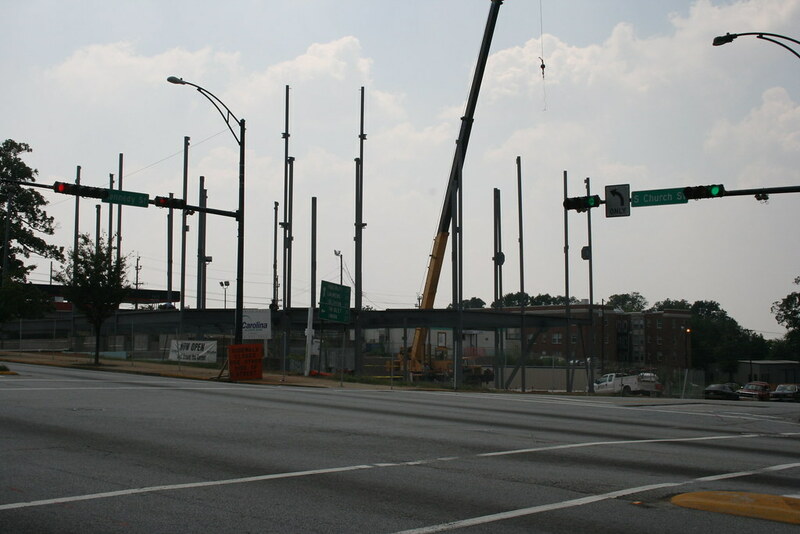 Construction is expected to start in the fall... no word on how large it will be.... though I am assuming it will be similar in size to Spartanburg National Bank on Pine St. Cool! Now I'm ready to hear some stats and see some renderings. The article about the bank was really positive about the changes going on downtown. 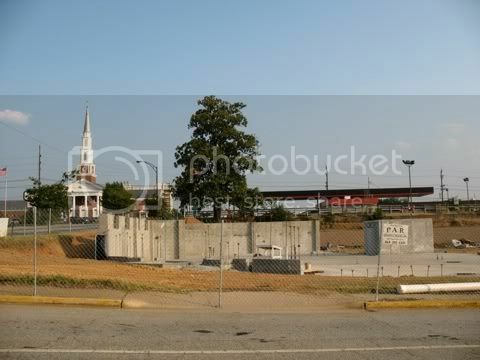 has anyone mentioned the new bank that's being built on the corner of church and Kennedy?. they're going to raze the old smith music store building and build on that lot. the article said the building will take up 3/4 of an acre. I didn't know they were going to tear down Smith for it though, or that it will be 3/4 an acre! That is all news to me. It sounds like it might be bigger than I thought. I was expecting something like that Spartanburg National Bank on Pine St. The new Carolina Alliance Bank which will have its new HQ at the corner of Church and Kennedy will start construction today. The design of this thing is phenominal. Its not a large building by any means, but it fits in well with everything that the Master Plan pointed out. 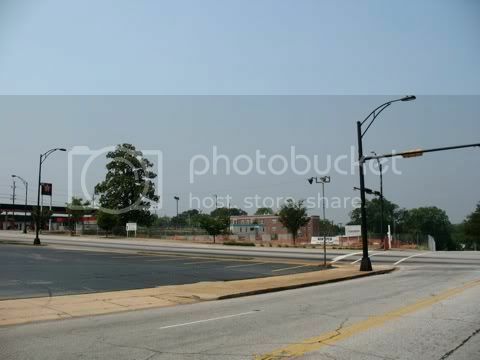 It looks good, its pedestrian friendly, and it will be an asset in reconnecting downtown to Hampton Heights. This might be the first building that is bulit up to the road with proper pedestrian connections since QS/1 (which is questionable). Hopefully this is the start of a new trend in Spartanburg. Today's HJ has an article with a picture of the new Carolina Bank that is going at the corner of S. Church and Kennedy St.
"[The] magnificent three-story, 22,000-square-foot building...is already being hailed as a flagship for Spartanburg's new urbanism movement." "'It's a building that looks like it will be there for 100 years,' said architect Ron Smith, of McMillan Smith and Partners." It would be great if street-level retail were incorporated into the ground floor some kind of way. I had to look at a map to find out exactly where this was going. So will this be going up on the parking lot directly across from the Library HQ's (I guess that would be the southeast corner of S. Church and Kennedy)? It is going diagonally across from the library which I guess would be the southwest corner. 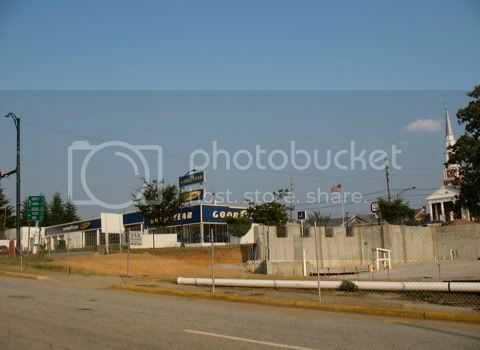 The site was a combination of vacant land and the Smith Music store. Smith closed a good time ago and a church was using the space. OK, I know where you're coming from. Good to know I was in the vicinity. Now if we can get something to come to the southeast block as well, we'll be in business. Is the Carolina First building on St. John finished yet? I think he means the Carolina First building on East main. It's lookin great but still has a month or so to go. 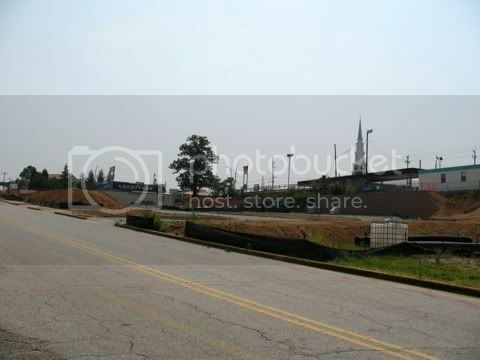 I here that they are getting ready to tear down the old Spartanburg Foundation building so I hope that this means that they will start the "sister" building pretty quick. Whoops, sorry, wrong street. 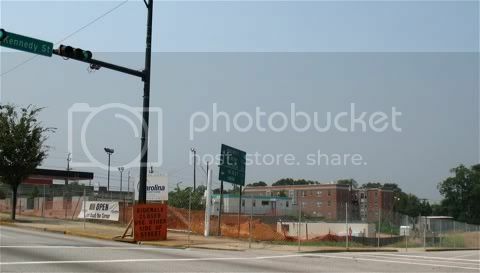 But I did know that a new Carolina First building was being erected. 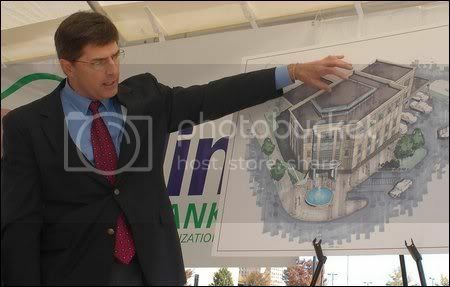 What's the old Spartanburg Foundation building and what is the "sister" building supposed to look like? I hope I'm not aggravating you guys with my questions concerning locations. The old Spartanburg Foundation buiding is the square one story building on the west side of the new construction. I think the sister building is supposed to be almost identical to the one that is being built. The front page of this morning's H-J had a large article on the grand opening of the new Carolina First building on East Main. Another building will soon be constructed adjacent to this one. Hopefully, this will spur other development and improvements along this stretch of East Main and extends downtown eastward. Anything starting to rise out of the ground here? I've taken lots of before shots from various angles, but they won't be worth looking at until there is an after shot to compare it to. That skyline shot is a good find. You should post that in the photos thread.